Bridge Works With The Rest Of The Lorell Concordia Series To Integrate Modern Technology And Create A Collaborative, Open-Environment Work Area That Promotes Interaction While Allowing Your Own Private Space. Design Features Modern-Style Latte Laminate, Three Aluminum Connections, A 25mm Top, 20mm Back Panel And Adjustable Screw-In Glides. The Grommet Hole In The Center Rear Of The Top Offers Easy Cord Management. Connect This Bridge To Concordia Desktops To Form Stable Shared Worksurfaces, Whether Sharing The Space Next To You Or Across From You, With A Clean Design That Works In Traditional Or Other Work Environments. The Concordia System Fosters Teamwork And Quiet Time To Focus On Individual Tasks. Furniture Provides Plenty Of Worksurface, Storage Above The Worksurface And Private Storage Where Needed Under The Worksurface. Enjoy The Flexibility, Integration With Modern Technology, And Clean Design That Are The Focus Of The Concordia Series..
Bridge Works With The Rest Of The Lorell Concordia Series To Integrate Modern Technology And Create A Collaborative, Open-Environment Work Area That Promotes Interaction While Allowing Your Own Private Space. 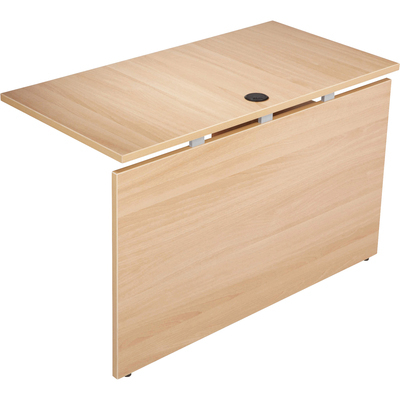 Design Features Modern-Style Latte Laminate, Three Aluminum Connections, A 25mm Top, 20mm Back Panel And Adjustable Screw-In Glides. The Grommet Hole In The Center Rear Of The Top Offers Easy Cord Management. Connect This Bridge To Concordia Desktops To Form Stable Shared Worksurfaces, Whether Sharing The Space Next To You Or Across From You, With A Clean Design That Works In Traditional Or Other Work Environments. The Concordia System Fosters Teamwork And Quiet Time To Focus On Individual Tasks. Furniture Provides Plenty Of Worksurface, Storage Above The Worksurface And Private Storage Where Needed Under The Worksurface. Enjoy The Flexibility, Integration With Modern Technology, And Clean Design That Are The Focus Of The Concordia Series.